Staff from 12 of the Bahía de Banderas Hotel and Motel Association (AHMBB) members hotels received Certificates of Occupational Competence for the On-Site Surveillance of Goods and People. 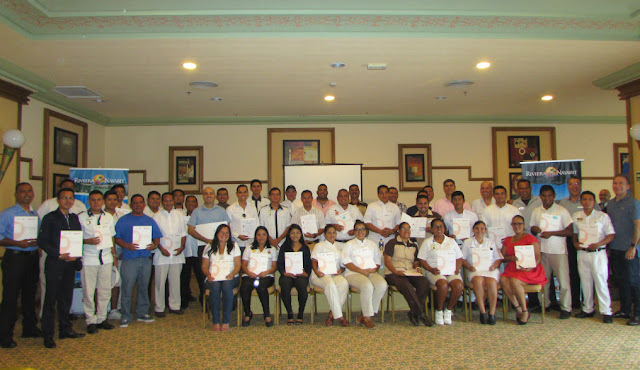 A total of 75 supervisors and security officers received certificates from the National Council for Standardization and Certification of Competency Standards (CONOCER) for the EC0060 On-Site Surveillance of Goods and People standard. 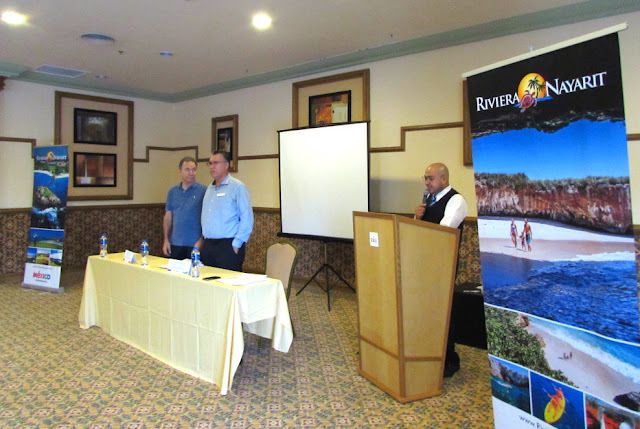 The certification process is part of the commitment the Bahía de Banderas Hotel and Motel Association (AHMBB) has with its member properties. The handing out of certificates to those charged with security in the Riviera Nayarit’s hotels took place last Friday, November 23rd, at the Riu Palace Pacífico hotel. The ceremony was headed by Carlos Irecta, president of the Bahía de Banderas Safety Committee, and Esteban Orosco, vice president and coordinator for the committee. 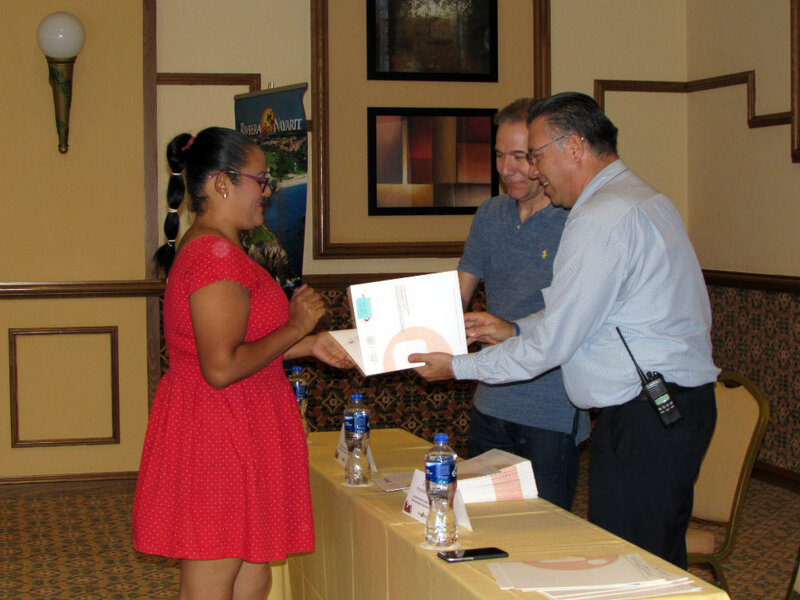 Esteban Orosco spoke for the hotel union as a whole when he congratulated the participants, highlighting the fact the certification is a personal achievement and something they should be proud of. The staff studied while they worked and even sacrificed their personal time to invest in their growth. Esteban Orosco and Carlos Irecta. Meanwhile, Carlos Irecta, congratulated the group for reaching an important milestone in their personal career, one that reflects their desire for personal progress and improvement to offer a better service to tourists. 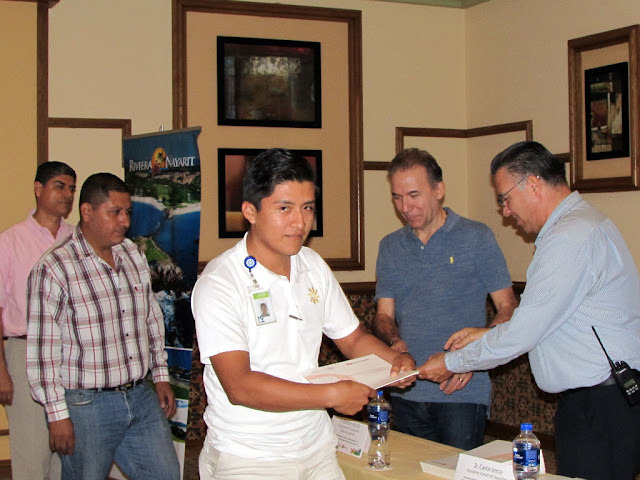 Participating hotels in the evaluation and certification process include: Grand Velas Riviera Nayarit; Marival Resort and Marival Residences; Rancho Banderas; W Punta de Mita; Hard Rock Vallarta; Four Seasons Resort Punta Mita; Grand Palladium; Vidanta Nuevo Vallarta; Hoteles RIU; Vallarta Gardens; and Iberostar Playa Mita. 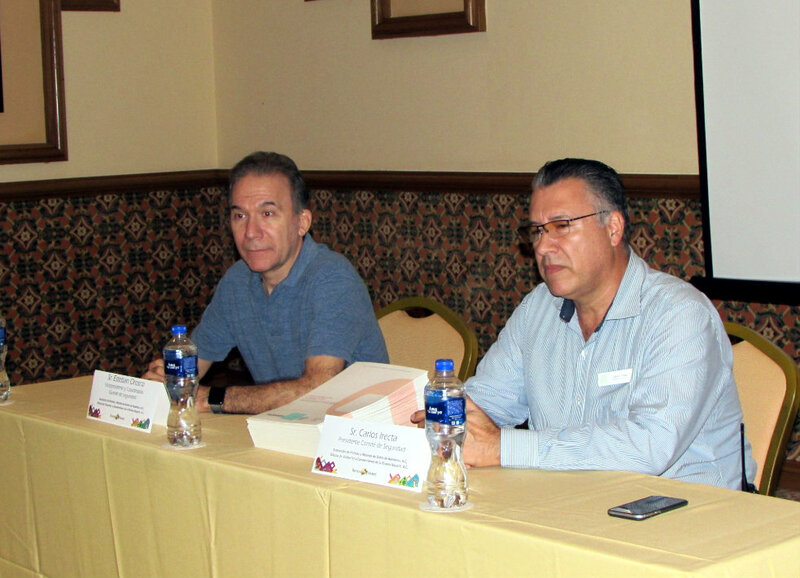 The awarding of these certificates is part of the commitment the Bahía de Banderas Hotel and Motel Association (AHMBB) has with its member properties in coordination with the Department of Member Services and Tourism Development Programs of the Riviera Nayarit Convention and Visitors Bureau (CVB) via its Safety and Human Resources committee, in order to strengthen and raise the level of services and cultural tourism in the Riviera Nayarit.